The Chinese of Cross River According To Old Marks--Xun Biao Ye She is 循表夜涉, and Pin Yin xún biǎo yè shè. Long time ago, there was a strong state named Chu.One year, the king of Chu planed to launch a sneak attack on the neighboring state Song located on the other side of Yong river. First, he sent some spies to find the spot where the troops could wade through and made marks. After this work was done, he ordered his army to cross the river at a dark night. Both the king and his soldiers, unfortunately, did not know that the river had swelled a lot due to a heavy rain in its upper reaches after the spies making marks. Without any scouting, the soldiers of Chu jumped into the river at the place with the marks. Thousands of them were drown, and even more flushed away. Their cry rent stillness of the night, waking up the soldiers of song. Seeing this, the king of Chu had to order to retreat. This idiom story is from "Cha Jin (察今)", an article from "Lu Shi Chun Qiu 《吕氏春秋》", an encyclopedic Chinese classic text compiled around 239 BC. under the patronage of the Qin Dynasty Chancellor Lu Bu wei (吕不韦). Cha Jin (察今) also produced another two idioms which have similar meaning with this one. 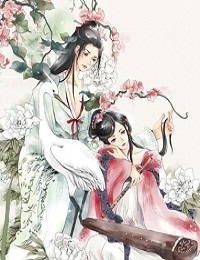 They areNick The Boat To Seek The Sword--Ke Zhou Qiu Jian and Throw A Baby Into The River--Yin Ying Tou Jiang.